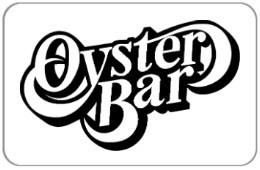 Dan & Louis Oyster Bar gift cards are great for any occasion! We're Portland's oldest family owned restaurant, well-known locally and around the world, celebrating over 100 years of serving the public our signature seafood dishes. Since Louis C. Wachsmuth opened the doors in 1907, five generations have carried on the family tradition. A century later, the Wachsmuth family invites you to share a Portland favorite! For balance inquiries call the phone number to a Dan & Louis Oyster Bar's location below.